Biometrics and health risk assessments (HRAs) are great assessment tools for helping your employees know where they are on the wellness scale – See Biometrics Made Easy. The ultimate goal of the employer is to create lasting lifestyle change for their employees. Many employers spark an interest for change with Biometrics but are lacking huge resources when it comes to increased well-being – which should be the focus of employee wellness programs. 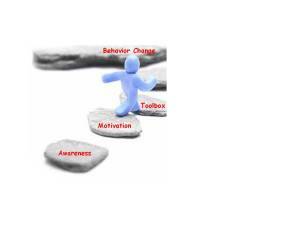 Offering multiple touch points provides stepping stones such as awareness, motivation and a toolbox that leads to behavior change for participants no matter where they are in their journey. Our comprehensive wellness program offers meaningful engagement for sustainable lifestyle behavior. See More.